Exclusive! Add a subtle touch of elegance to any occasion with our Crystal Drop Earrings. Five faceted glacier crystal beads on silver-tone wire with French hooks are perfect for the office or a night out. 1½"l. Hurry! Quantities are limited! 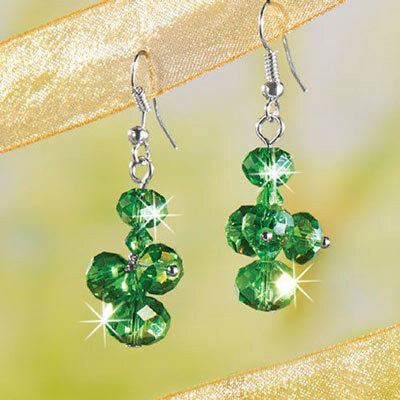 The crystal drop earrings are very delicate yet vibrant and sparkly. They can be worn with so many different outfits from casual to more formal. The colours go so well with all kinds of colours of things I wear.